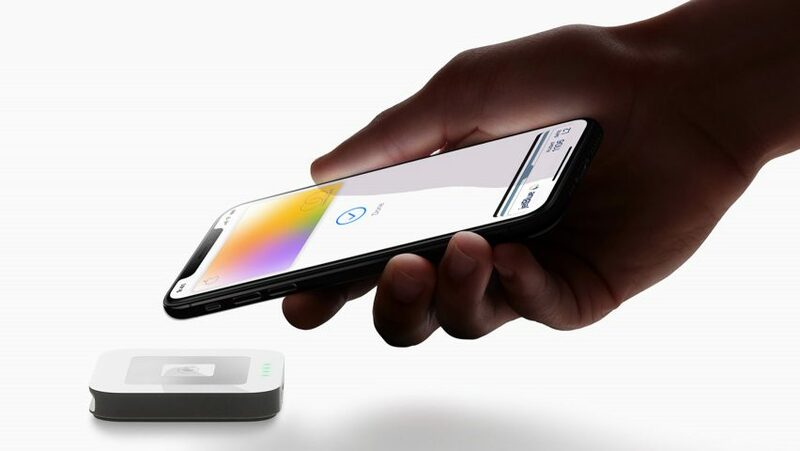 Apple has made its first foray into financial services with a numberless credit card that CEO Tim Cook calls the most significant change to card payments in 50 years. The Apple Card is designed to work with the iPhone and is said to add privacy, security and transparency to the typical experience of using a credit card. For one, the physical credit card is optional. The titanium laser-etched card has no numbers — not the card number, not the expiration date and not the CVV security code — because that information is stored securely in the iPhone. If users need it, they can access their number through Apple's Wallet app using Face ID or Touch ID. However, the tech company envisions most payments being made directly through the iPhone via Apple Pay. It also promises not to track payment data — information that only card partner Goldman Sachs will have, and which it has promised not to sell or share with third parties for marketing or advertising purposes. This feature is designed to attract consumers who want more control over personal data, and shows Apple once again using privacy to distinguish itself from competitors. In January, during the CES tech show in Las Vegas, it took out billboards proclaiming "What happens on your iPhone, stays on your iPhone". "The unique security and privacy architecture created for Apple Card means Apple doesn't know where a customer shopped, what they bought or how much they paid," said Apple. "Every purchase [via Apple Pay] is secure because it is authorised with Face ID or Touch ID and a one-time unique dynamic security code." Also included with the card are spending summaries, a feature already offered by some banks and popularised by fintech start-ups such as Monzo. Apple's colourful version will break down spending by week, by month or by category, and promises the kind of simple, intuitive user interface the company is known for. The transparency feature also extends to an interest calculator, where users can see how their chosen payment amounts and times will effect their balance. Coupling this with no fees and an end-of-the-month due date, Apple dubs theirs the "first card that actually encourages you to pay less interest". Other features unique to the iPhone application of the card are the attachment of Apple Maps location data to transactions, so that users are less likely to find vendors they can't recognise in their purchase history. They are also able to use the Messages app to text Apple Card support all day every day. "Apple Card is designed to help customers lead a healthier financial life, which starts with a better understanding of their spending so they can make smarter choices with their money, transparency to help them understand how much it will cost if they want to pay over time and ways to help them pay down their balance," said Apple's vice-president of Apple Pay Jennifer Bailey. This is also the first consumer credit card for Apple's partner in the venture, Goldman Sachs, which Apple says meant "they were open to doing things in a whole new way". Unlike a bank, Apple designed the card to support Apple Pay and keep users within the Apple ecosystem — which has grown with the announcement of several new services at a press conference yesterday. Along with the Apple Card, the company is launching its Netflix competitor, Apple TV+; an immersive magazine and news subscription service, Apple News+; and the "world-first" Apple Arcade, a games subscription service for mobile, desktop and the living room. The Apple Card comes with a Daily Cash cashback rewards scheme that gives users three per cent back on Apple purchases, including those made through the App Store, and two per cent back on purchases made through Apple Pay. They get one per cent back when buying items with the physical card. Speaking at yesterday's event, CEO Tim Cook called the Apple Card "the most significant change in the credit card experience in 50 years". Apple usually themes its events around either hardware or software, but yesterday's press conference was the first to focus on services. It signals a major new focus for the company, which saw declining iPhone sales in 2018. Among its recent product launches has been its "greenest Mac ever" and the iPhone XS. The company plans to make the Apple Card available in the USA from summer 2019. There is no word yet on when it will launch internationally.